Christina El Moussa's New Boyfriend: Who is She Dating? 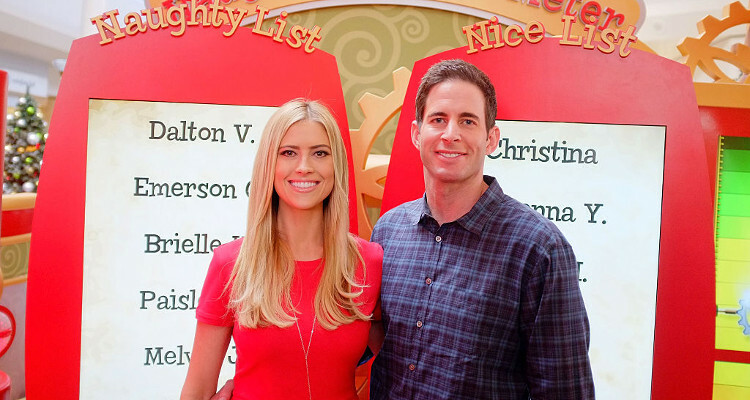 Christina El Moussa’s New “Boyfriend:” Who is She Dating? Reality stars, Tarek and Christina El Moussa made headlines with the scandal that was their split. Their’s was an ugly divorce! However, now it looks like Christina has moved on with a new man. Who is Christina El Moussa dating? We’ve got the scoop, right here! Not too long ago, Flip or Flop’s star couple, Tarek and Christina El Moussa had a very publicized and ugly divorce. There still seems to be some bad blood between the two, and that bitterness has surfaced again since Christina has apparently moved on. She was spotted with a new man and is beaming. Here’s more about Christina El Moussa’s boyfriend and her dating timeline. Christina and Tarek met in the real estate office where they worked right after college. After starting their real estate business together, the couple tied the knot in 2009. Their daughter, Taylor Reese El Moussa, was born the following year. When their show, Flip or Flop on HGTV was at the peak of its popularity, Tarek was diagnosed with cancer. Also Read: Ben Platt Girlfriend: Who is the Tony Winner Dating? They said that his cancer diagnosis and attempts to have a second child strained their relationship. After he was declared cancer-free, their son, Brayden James, was born in 2015. While the couple’s relationship seemed to look good on the outside, cracks started to surface. In 2016, the police were called to the El Moussa home in response to a “possibly suicidal male with a gun.” The couple’s friend said that Tarek had grabbed a handgun before heading outside. Tarek later claimed he had no intention of killing himself and carried the firearm for protection. But that was the start of many ups and downs in their marriage. Finally, in December 2016, the couple announced their divorce. They claim to be on good terms now and want to keep the Flip or Flop franchise alive. The announcement of the El Moussa’s divorce came after the couple had been living separately for months. Reports claim that they had been dating other people during their split. Christina was reportedly in a relationship with Gary Anderson, her contractor. Anderson was the El Moussa’s family contractor since 2015. He even did some work in their residence. This is where things get messy. It is suspected that Christina had a relationship with Anderson behind her husband’s back, and Tarek found out. However, both Tarek and Christina have denied these accusations. But all was not peachy with Anderson and Christina. Anderson reportedly doesn’t like kids, and Christina has a six-year-old daughter and almost two-year-old son. Adding to the pressure, the media began hounding them with questions of whether or not their relationship started as an affair. The pressure got to them and they decided to call it quits. Lately, Christina has been spotted out on the town with a man, sporting a ear-to-ear grin! Her new boyfriend is apparently a man named Doug. His last name is still a mystery. Doug is a businessman from Orange County.